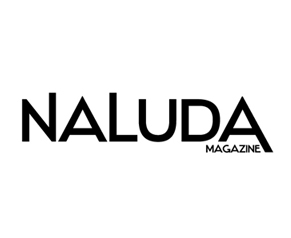 Naluda Magazine is a free, fresh monthly publication covering topics on lifestyle, fashion, travel, social events and activities, at Naluda we aim to provide our readers the most interesting, useful and up to date information. Naluda will cover topics on a world-wide level, providing the latest information and written by our team of experienced writers from around the globe to provide key information in a compact, enjoyable and easy read style with amazing visual attraction. We want our users to obtain interesting information that enriches their lifestyle, brings confidence and promotes good living. Naluda Magazine exists to provide digital content that is delivered electronically, through mobile and social media channels and on our blog website. Our publication illustrates through written word, visual arts, photography, interactive media illustrations, and editorial layouts the full range of ethnicity, lifestyles, fashion, social events, music, travel, sports, entertainment, cultures and diversity. We endeavor to illuminate people of different backgrounds, and lifestyles promoting confidence through our editorial content. We want to bring unbiased diversity through our advertising, editorial content and interactive media. To our readers we want to enrich their lives from our articles, photos and contents whilst promoting fashion, music, events, restaurants, travel destinations, tips, art, health care and more. It is our mission to provide advertisers and partners with essential insight, unrivaled opportunity and dynamic ideas that enrich their media investment and provide connections to our readers.